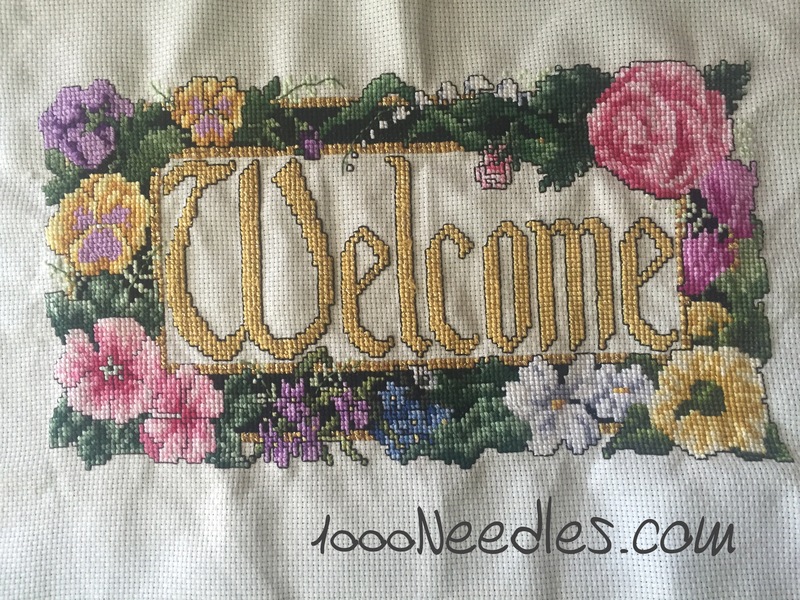 I’m almost done with the embroidery for the top border. I just got started on the pink rose on the right corner. “Farmland 2” … I think I’m renaming this Mama’s Bukid (pronounced boo-kid). It means countryside or farm in Tagalog. And since this is the project she’s been patiently waiting for me to do, I think renaming it is appropriate. 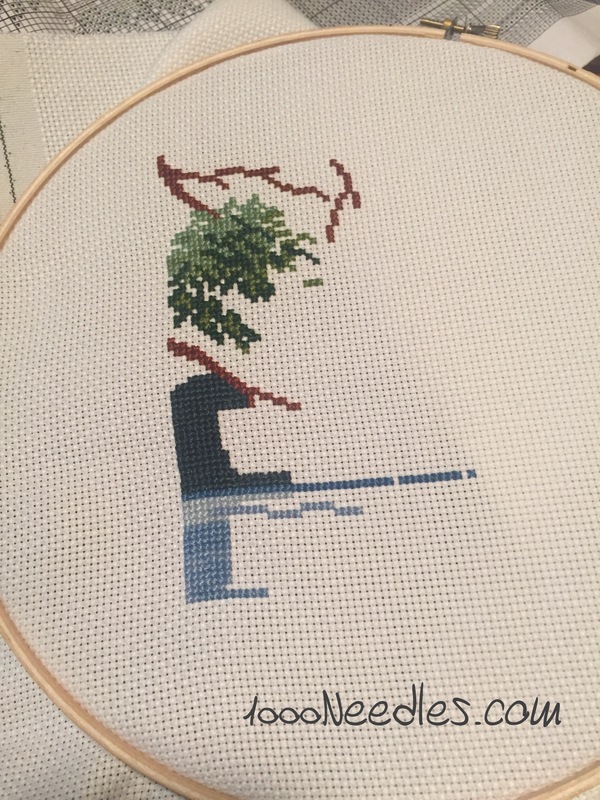 I’m 1 small cross stitch away from completing the first row. 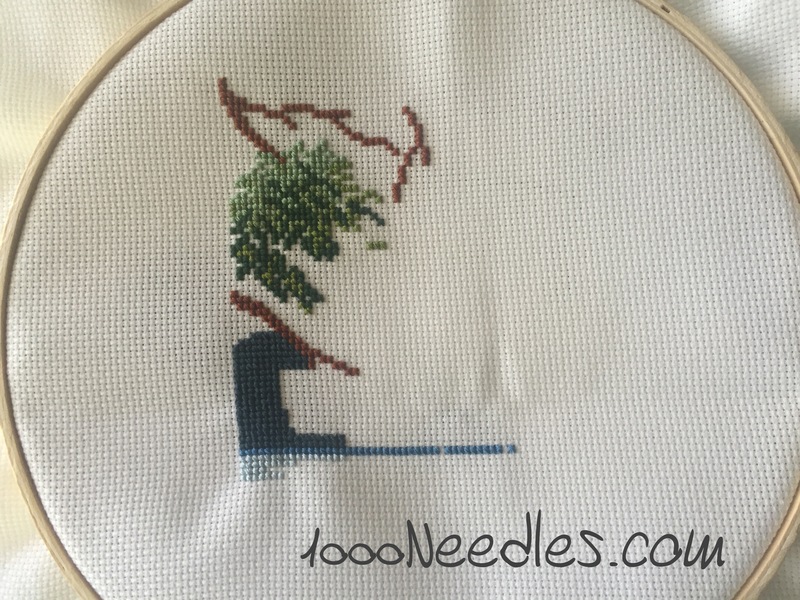 That should be pretty easy to complete this week and my next goal is to continue working on the second row. This project is 8 pages long so this is a long term project I will be working on for the next few years. Wow, how big is that Bukid? That sounds like a very large project. 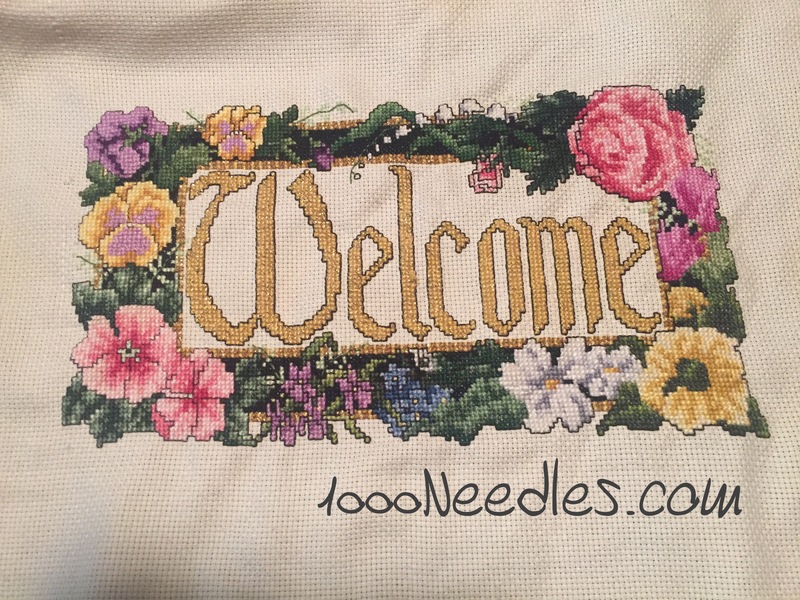 Congratulations on being so close to finished on the Welcome piece.